The anniversary edition of the verallia design awards is launched! 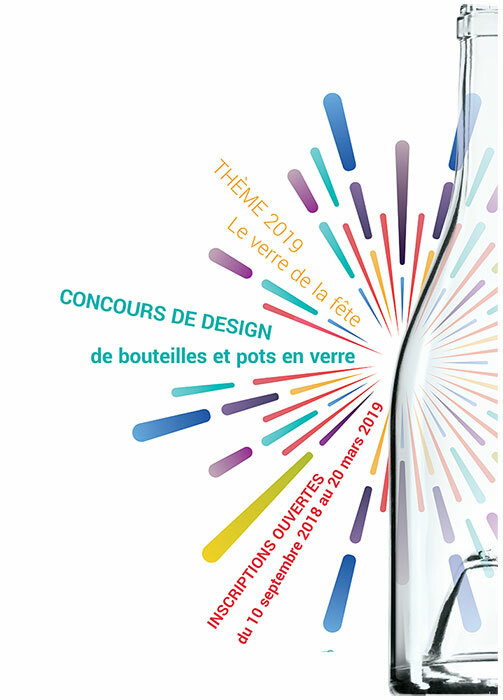 Every year, young students and graduates in design, packaging and BEeux-Arts are invited to imagine innovative glass bottles and jars. A veritableplatform for open innovation, the Verallia competition encourages students to reinvent food packaging. The submitted projects can thus be a source of inspiration and lead to the development of innovative products. The 2018 edition was a record year with nearly 730 candidates! On the occasion of the 10th anniversary of the Verallia Design Awards, cadidates are invited to imagine a glass packaging around the theme “Glass party“. The celebration of an event – be it a success, a birthday, a wedding, a graduation, a sporting feat, a family party, etc. – is accompanied by unique packaging enhancing this exceptional moment. For this anniversary edition, Verallia is offering a special “Digital Communication” Award for the recycling of glass packaging. Follow all the contest news on his Twitter, Facebook & Instagram @veralliadesignawards pages!